Last January, Facebook launched WhatsApp Business, targeting small businesses looking to communicate with customers over WhatsApp. The app lets owners set up profiles with email addresses, working hours, and location details, along with a certain degree of automation: quick replies, Gmail-style labeling of conversations, and filters. This functionality had been specific to the Android app so far, but that changes today — WhatsApp Business users can now enjoy these features on the desktop and web app too. WhatsApp Business was officially announced in September of 2017 but back then you had to sign up for a beta, register your interest, and hope to be picked to give it a try. Now the app is made official and it's launching for Android in 5 countries to begin with, with a roll out "around the world" in the coming weeks. The lucky five are: Indonesia, Italy, Mexico, the UK, and the US. Yes, the US, where everyone says they don't use WhatsApp. I also find it odd that the launch post mentions how businesses in India and Brazil rely on WhatsApp a lot for their communications, but then these two countries aren't among the list to get it first. Last year, WhatsApp released a business-focused version of its massively-popular messaging app, aptly-called 'WhatsApp Business.' It has a few unique features, like landline phone number support, messaging statistics, and other minor changes. Now the app has been updated to support quick replies. Although we've been hearing about WhatsApp Business forever, the service was officially announced one month ago and if you paid close attention to the FAQ page, you would have seen a survey where you could sign up to test WhatsApp Business. 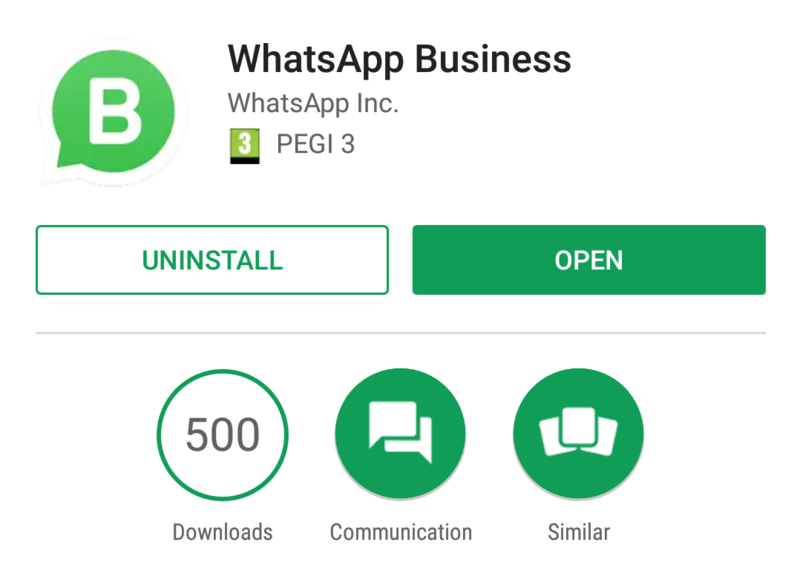 I totally missed that, but reader Hüseyin Filiz applied and thanks to him, we have our first look at WhatsApp Business. The service is still in testing, so WhatsApp is asking for feedback from early testers regarding account setup, data migration from their existing WhatsApp app, automatic responses, and analytics.